Concrete Prep Plus tool on Buffer — Buffer not included. 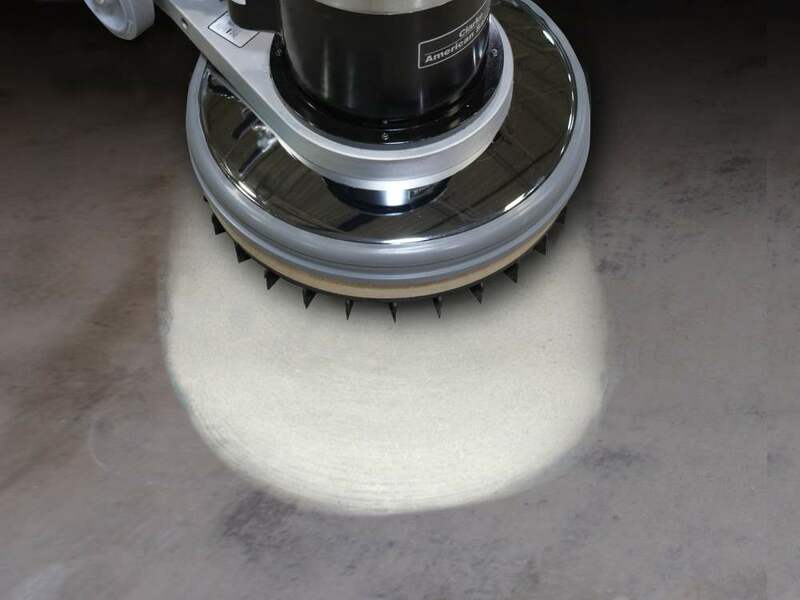 The Diamabrush concrete plus prep tool is the ideal and easier way to prep your floor for epoxy coatings. Attaches to standard equipment you can find at most rental places. The Diamabrush Concrete Prep Plus Tool lasts over 4 times longer than the original concrete prep tool. We like to separate out the products by how and where they should be used. The concrete prep plus tool is the preferred choice for the typical 17″ sander or buffer that you would rent locally. You would typically use two of them for LARGE propane powered auto scrubbers, but would use the concrete prep tool in battery powered scrubbers. You need to know which way the unit spins, CW (clockwise) or CCW (counter clockwise) and most of the time you are going to order the tool one inch less that the buffer size. For example, most rental buffers are 17″ CCW, so you would order the 16″ 25 Grit CCW Concrete Prep Plus tool. Its so common, we made it first on our list. In most cases the manufacturer recommends 25 grit for epoxy coatings. Check with your material supplier to confirm. Please note this is NOT the correct tool for removing an existing coating and grinding at the same time. This tool is just for a diamond grind.